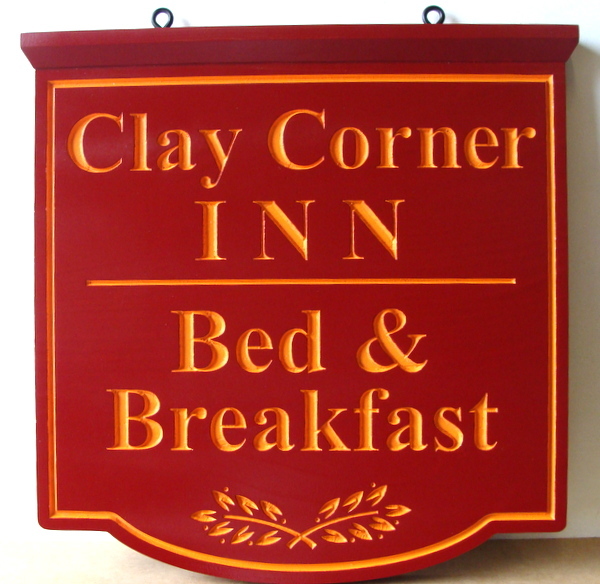 Above is shown an engraved HDU sign for the "Clay Corner Inn" B&B.. This attention-getting red and yellow sign features V-carved prismatic text and border, and a top decorative molding with two eye hooks. .The sign is hand-painted and then clear-coated twice. This sign can be hung from a wrought iron scroll bar mounted on a post or an exterior horizontal ceiling beam.